2807 Holly Ave, Naples, FL.| MLS# 218072632 | Southwest Florida Residential Real Estate for Sale. TEAR DOWN INVESTMENT PROPERTY IN THE BAYSHORE ART DISTRICT! SELLING FOR LOT VALUE! PROPERTY IS TO SELL "AS-IS". BRING ALL OFFERS!! IMPACT FEE CREDIT: The property listed as 2807 Holly Ave (Folio# 50890160003) will have impact fee credits for a mobile home (not in a mobile home park). The current value is $16, 059.10. 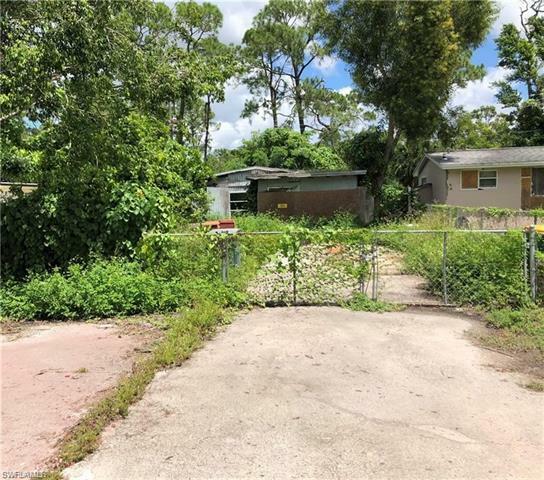 This property also has a sewer impact fee credit of 1 equivalent residential connection with a current value of $2, 515. The fire impact fee credit is based on 208 square feet. © 2019, The data relating to real estate for sale on this Website come in part from the Broker Reciprocity Program (BR Program) of M.L.S. of Naples, Inc. Properties listed with brokerage firms other than Royal Shell Real Estate are marked with the BR Program Icon or the BR House Icon and detailed information about them includes the name of the Listing Brokers. The properties displayed may not be all the properties available through the BR Program. BR data on this website is provided by Royal Shell Real Estate on behalf of Anabelle Miller. The source of this real property information is the copyrighted and proprietary database compilation of the M.L.S. of Naples, Inc. Copyright 2006 M.L.S. of Naples, Inc. All rights reserved. The accuracy of this information is not warranted or guaranteed. This information should be independently verified if any person intends to engage in a transaction in reliance upon it. Data last updated 2019-04-20 00:54:17.